Domino's wants to dramatically increase the number of its US locations. CEO Richard Allison discussed the plan during a conference call discussing second quarter earnings on Thursday. In anticipation of the expansion, the pizza chain is investing between $115 and $120 million in its supply chain, more than it had planned. Currently, there are about 5,650 Domino's locations in the United States. Over the next ten years, Domino's wants to open about 2,350 more. The expansion plans follow a streak of growth. "As we look forward, we see an opportunity to take share broadly across the industry," Allison said. Same store sales grew 6.9% in the second quarter compared to the same period last year, driven mostly by an increase in orders. More stores will help Domino's keep up with demand and also bolster its take out business by getting closer to customers, said BTIG restaurant analyst Peter Saleh. Domino's has been growing steadily for years, thanks in part to its focus on affordable meals. It's also been ramping up its digital innovations. In the past few months, Domino's has started offering delivery to about 200,000 hotspots — locations like parks and beaches — that don't have a traditional address. Without revealing how the hotspots impacted sales, Allison said he is "very pleased with the launch and customer reception." He added that the new hotspots may have even helped speed up deliveries because they are more familiar to employees dropping off orders than a home address. Meanwhile, some of its competitors are struggling. Recently, Papa John's (PZZA) has been embroiled in scandal over its founder's use of a racial slur. 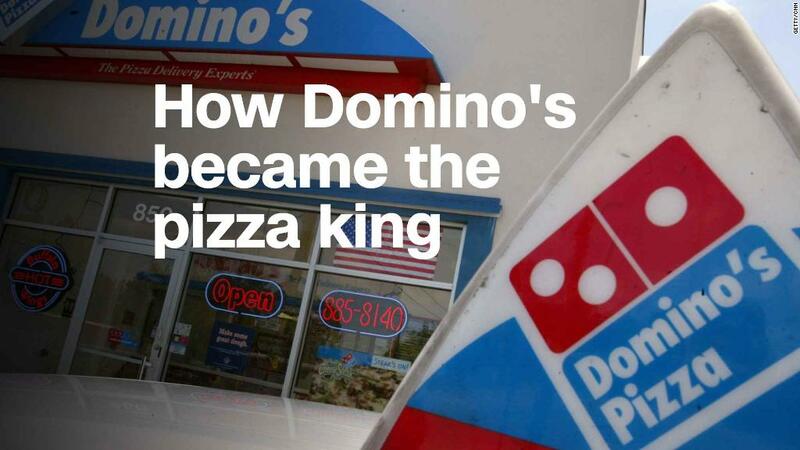 Even before that, the chain was struggling to keep up with Domino's and Pizza Hut.